Original photograph by William James Topley. Taken sometime between 1903 and 1909. The stone arch bridge was constructed by 15th Company of the Royal Sappers’ and Miners. The eastern end connected directly to Rideau Street, and its western side joined with a wagon trail that winded its way to where it met Wellington and Bank. The land east of Bank Street had been acquired from Nicholas Sparks by the military, who returned it to him in late 1849. 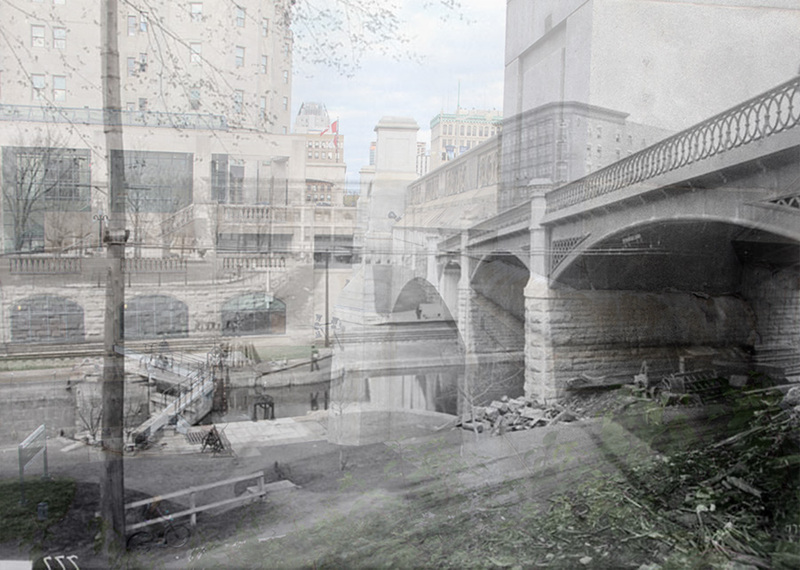 Thereafter, Sappers Bridge became connected directly to Sparks Street. 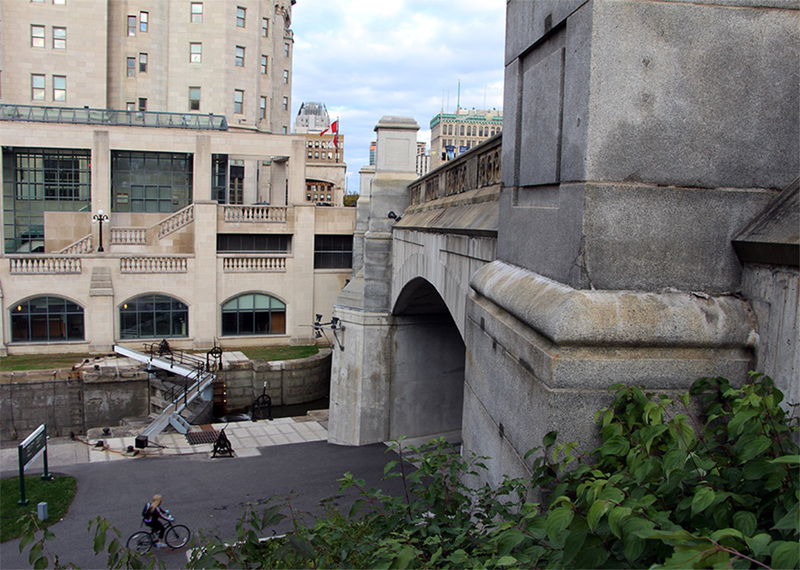 The bridge was modified in the early 1870s with the construction of the Dufferin Bridge. Around the turn of the century, a hole was blasted in Sappers Bridge to allow for rail traffic to pass. 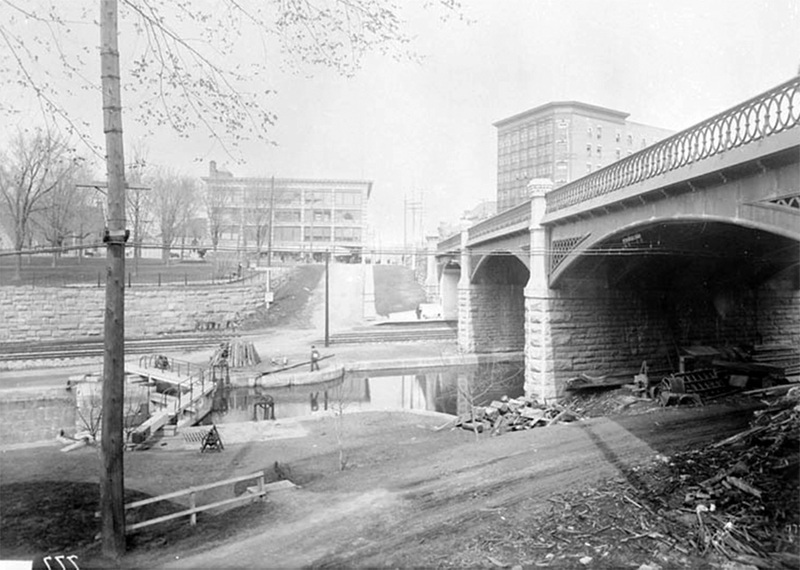 A railway station (predating Union Station) was built east of the Rideau Canal, immediately south of the bridge. With the completion of the Alexandra Bridge rail traffic passed from this station onto Hull. 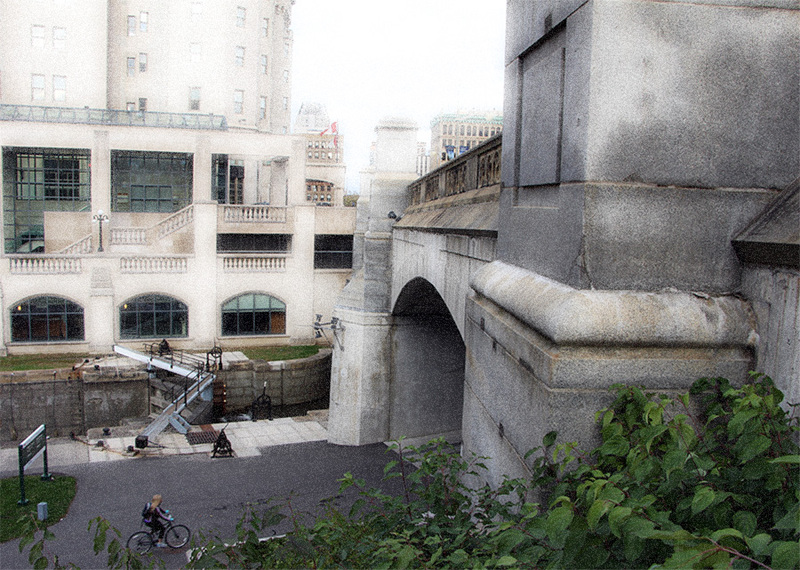 LAC: Bridge and Rideau Canal from Stairs [showing Corry Building – Lindsay’s]. Note: This picture is not dated but would have been taken after the Corry Block was built (1903) and before construction of the Chateau Laurier began (1909).